China won the first round, what about the future? In December 2014, the administration announced that we were taking "historic steps to chart a new course in our relations with Cuba and to further engage and empower the Cuban people." The following month, the US International Trade Commission began a study of the economic effects of US restrictions on trade with and travel to Cuba. They held hearings on potential exports in several sectors and I testified on potential telecommunication exports. In March, the US sent a high-level delegation to Cuba to discuss telecommunication and the Internet and no doubt Internet service and equipment companies began analyzing the potential Cuban market. Most visibly, Google visited several times and eventually made a concrete proposal for the installation of some sort of wireless infrastructure, but that offer was rejected, perhaps for lack of trust in the US Government and Google. 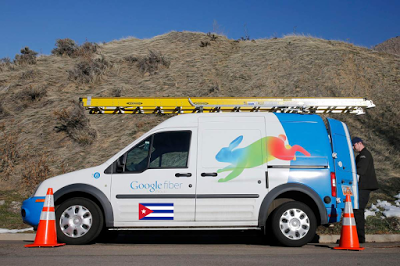 Google made several trips to Cuba, but their proposal was rejected. This month the White House extended our policy, authorizing US companies to establish a business presence in Cuba and provide "certain" telecommunications and Internet-based services or do joint ventures or enter into licensing agreements to market such services. To date, this effort has led just a few small Internet deals like Netflix offering Cubans accounts, Airbnb renting rooms or Verizon offering cell-phone roaming in Cuba. Cuba has turned to China, not the US, for Internet connectivity and equipment and is committed to doing so in the short term future. China played a major role in the financing and construction of the ALBA-1 undersea cable, which connects Cuba to Venezuela and Jamaica. It was reported that China lent Venezuela $70 million to finance the cable, which was installed by a joint venture made up of Alcatel-Lucent Shanghai Bell and Telecomunicaciones Gran Caribe (TGC) -- TGC is a joint venture between Telecom Venezuela (60%) and Cuban Transbit SA (40%), both state-owned companies. 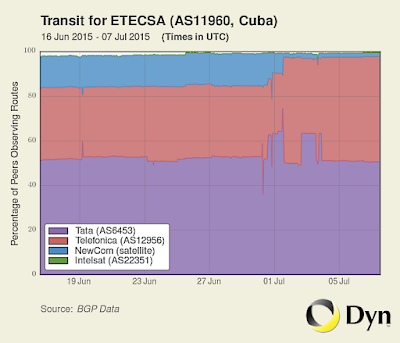 The cable landed in Cuba in February 2011, but the first traffic was not transmitted until January 2013. 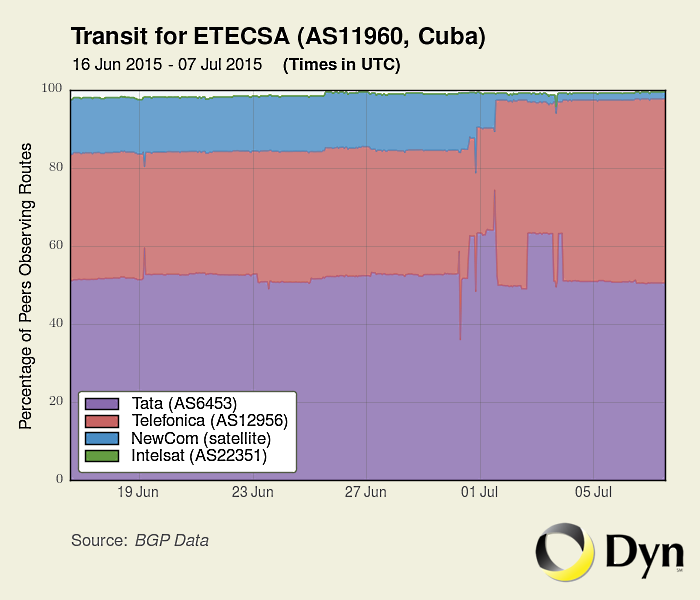 Much of Cuba's international traffic continued to be routed over satellite links until July 2015, when nearly all of it had finally shifted to the cable. 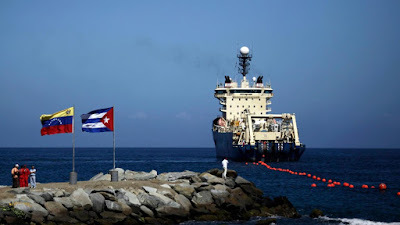 Cuba's international traffic continued to be routed over slow, expensive satellite links for over four years because the cable landing point is at the east end of the island and there was little domestic infrastructure to connect it to Havana and other locations. The ALBA-1 cable traffic has shifted from satellite (blue) to cable. At the time of the cable installation, we speculated that China might play a role in building the domestic infrastructure needed to reach it and it turns out that Cuba had awarded Huawei a contract to build a national fiber-optic network in the year 2000. 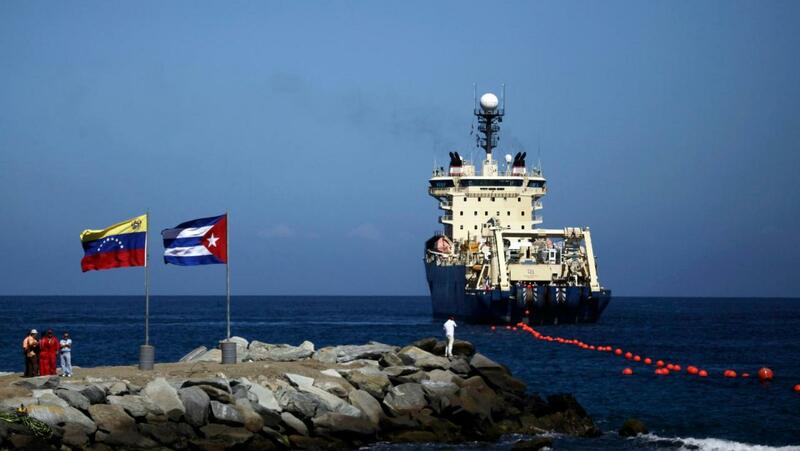 Today there is a backbone network connecting the Cuban provinces to the cable landing point. The current load is light compared to expected future traffic from homes, schools, universities and public access locations, so Cuba must be planning a faster, more comprehensive backbone and I imagine Huawei is involved. Huawei equipment was also used in the recent installation of 35 WiFi hotspots across the island. 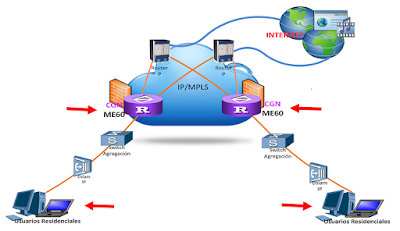 Since they claim the access points will support 50-100 simultaneous users at 1 Mb/s speed, these 35 locations must connect to the national backbone network. 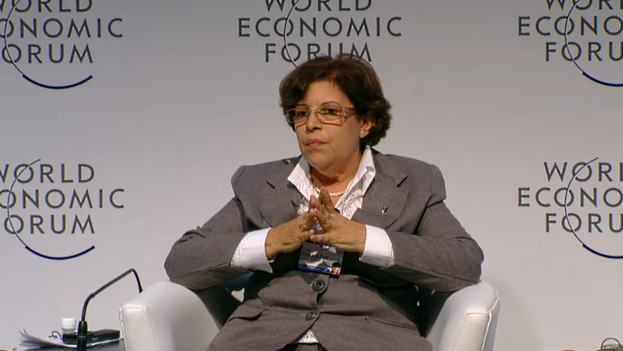 While 35 access points are a drop in the bucket, Cuba is committed to adding more. Counting WiFi, "navigation rooms," Youth Clubs and hotels, there are now 683 public access points in Cuba, all of which reach the backbone. In addition to expanding public access and the backbone, they plan to make DSL connectivity available to 50% of Cuban homes by 2020. 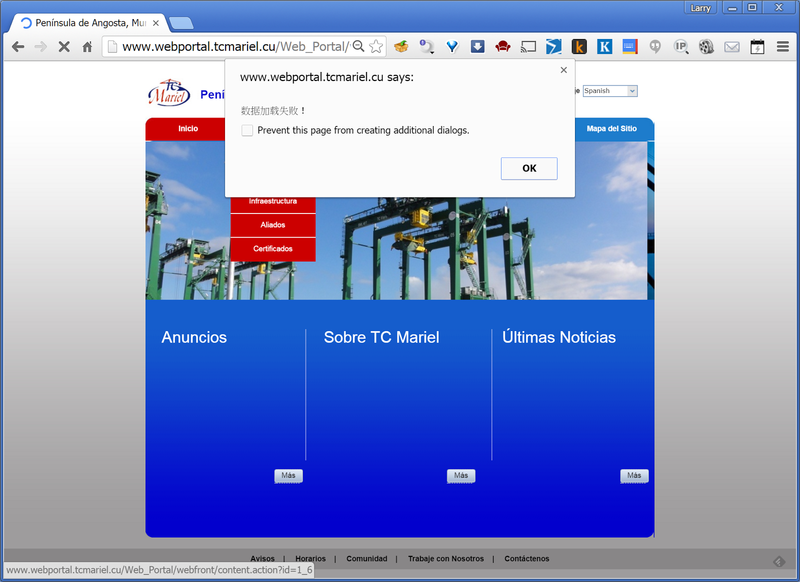 (Note that that is not to say 50% of Cuban homes will be online). Doing so will require new equipment in the telephone central offices serving those homes and Huawei will supply that equipment. Two other Chinese companies, ZTE and TP Link are providing DSL modems for network users. (ZTE has an office in Havana and may also be involved in the backbone network). Cuba also has plans to connect all schools and make fiber connections to the backbone available to all universities. I don't know whose equipment will be used for those upgrades, but, if Huawei is the backbone vendor, I suspect that they would have the inside track on customer premises equipment (CPE). A recent market research report shows that Chinese CPE sales are growing rapidly, fueled by a large domestic market. "very advanced" negotiations with Huawei, May 2015. In spite of China's success in Cuba, all has not been perfect. As this Wikileaks memo from the US Interests Section in Havana shows, the Chinese have had some difficulty collecting Cuban debt. Cuba remains a tricky place to do business. 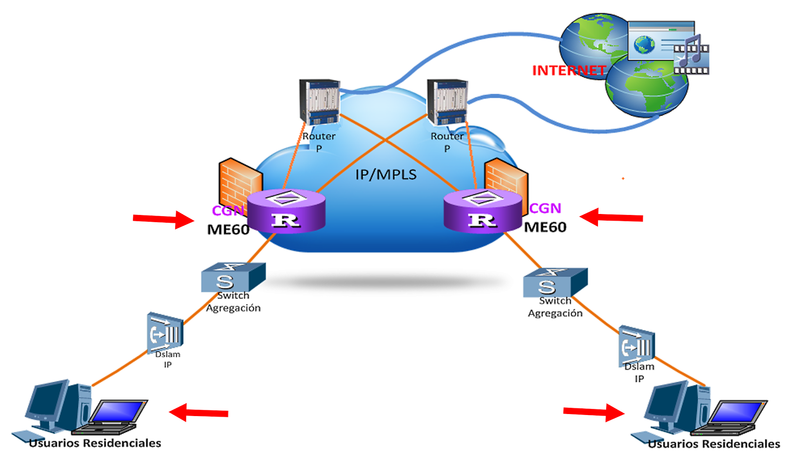 Finally, note that all of these sales are for equipment, not network operation. While Huawei has sold Cuba equipment, the backbone installation has been supervised by a Cuban engineer who has worked for Huawei since 2002 and Huawei does not seem to have an office in Cuba. Cuba bought Telecom Italia's share of ETECSA, Cuba's monopoly telecommunication company, in 2011 and remains independent. That may turn out to be a good or bad thing for the Cuban people, depending upon ETECSA's policy and goals. It looks like China has won the first round. That's the bad news for US companies. The good news is that very little infrastructure has been sold so far and much of what has been sold and is planned for the near future is already obsolete by today's standards. That says there will be a much larger second round -- will the US be a player? In early 2000 gradually they replaced all Cisco router by Huawei, including my office. probably today 95% of all routers in Cuba are Huawei, a "legacy" of Ramiro Valdez was minister, and the millions that Cuba spent in the "battle of ideas." He also said that Huawei has had an office in the Miramar Trade Center in Havana for over ten years. (I could not find it using Google). Note that Ramiro Valdés called the Internet "the wild stallion of the new technologies," which "could and should be controlled and used to serve peace and development" in spite of the fact that it construes one of the "mechanisms for global extermination." If dealing with Huawei was politically motivated, the Internet infrastructure market may open in the future. (Some readers will claim that payoffs were involved, but I have no evidence one way or the other on that). The home page of the Mariel port web site features images of Chinese cranes, but China has supplied more than cranes. 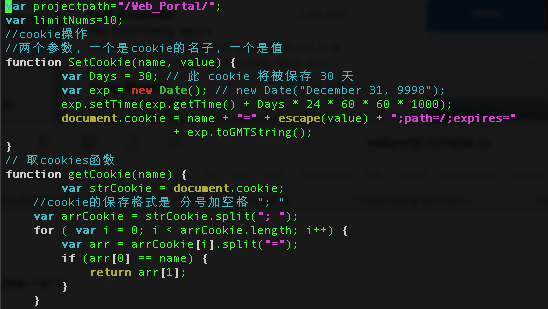 Doug Madory, Director of Internet Access at Dyn Research, sent me an email saying he had found evidence of Chinese software on the site -- an error message with Chinese characters. I went to the site and, at first, could not reproduce the error message, but I have been able to subsequently-- it is due to slow load time. When the site begins to load, it displays three links as shown below, but the page is not fully loaded. Clicking on "Sobre TC Mariel" displays the error message with Chinese characters ("Data failed to load!" 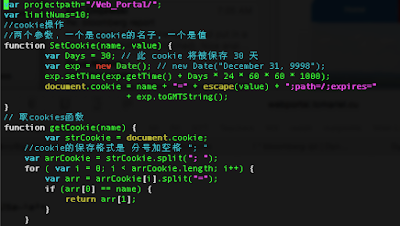 according to Google Translate), shown below. It will not be easy for the US to compete against the Chinese in Cuba -- Huawei and others are well-established, formidable competitors. That is one of the hidden costs of the Cuban embargo. Is this a coincidence? The Chinese news agency, Xinhua, just posted a rosy puff-piece about Cuba's plan to "expand Internet access in public areas and private businesses." It is not a news report -- it rehashes things like their planning to deploy more public access via WiFi and Internet cafes and takes a shot at the US trade embargo. A couple days later, the Wall Street Journal reported that "The U.S. Commerce Department has subpoenaed Huawei Technologies Co., demanding that the Chinese telecommunications giant submit all information on its export and re-export of technological goods to Iran, North Korea and other sanctioned nations." Can the US really do much about Huawei in Cuba? I doubt that they are highly dependent upon components from US suppliers and, to the extent that they do use US components, wouldn't they find substitutes if blocked? China has been Cuba's most important source of Internet consumer and infrastructure equipment and now China's Haier Group will be manufacturing low-end laptops and tablets in China. Haier is a large, multinational manufacturer of home appliances and consumer electronics -- they are in 29 countries and recently acquired General Electric's appliance division. 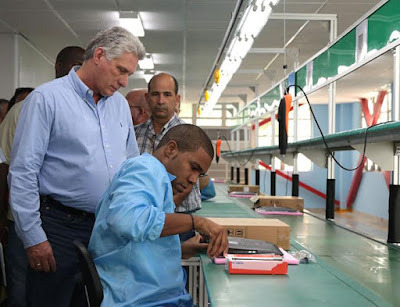 For now, they will be making low-end laptops and tablets in collaboration with GEDEME, a Cuban manufacturer, but, what are their plans for Cuba? Is this a strategic investment? David Crosswell points out that China has been active in other parts of the Cuban economy as have the Russians and Iranians and provides links to several examples in his comments on this post. Cuba, given its proximity, is critical to our national security -- a lesson we learned during the Cuban missile crisis. Trump should think about "unvetted" Iranians 90 miles from Florida.